If you’ve ever been to Las Vegas, you know how hard it is to take in all the sights and sounds in just one trip. 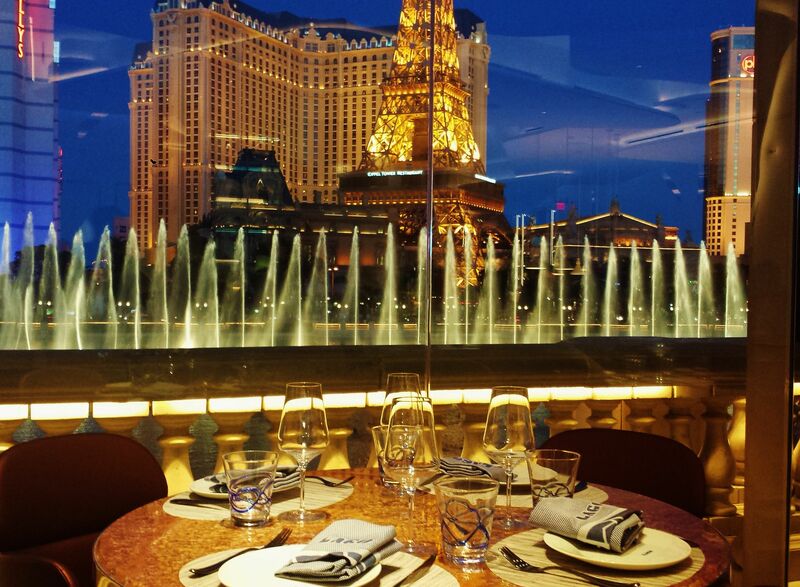 With so many great spots off the beaten path begging to be explored, Vegas is a wonderful city to visit, especially for a foodie. As with many other cities, the best restaurants are generally the lesser-known finds you will discover outside of the flashy casinos and posh hotels. Whether you’re visiting for the Major Series of Putting in October or throwing a bachelor party for your best friend, here are some low-key spots for delicious eats. Located in Green Valley Plaza, Weiss Restaurant Deli & Bakery is a genuine Jewish deli with freshly-baked bagels, scrumptious matzah ball soup and the best pastrami on rye you’ll ever sink your teeth into. If you want a filling lunch that won’t break the bank, this is the spot for you. Honey Salt serves up wholesome farm-to-table comfort food made with locally-sourced ingredients that are as good for the body as they are for the soul. In addition to the freshness of the menu, including favorites like their New England Fry or Farm House Meatloaf, this the perfect place to bring the family for a cozy and comfortable dinner. The Peppermill Fireside Lounge provides an authentic neon-tinted Las Vegas atmosphere, complete with intimate fire pits and cherry blossom trees. It’s also the perfect spot for those who enjoy extravagant cocktails alongside mouth-watering burgers with gourmet toppings. Early birds can also enjoy one of the best breakfasts in the city at the Peppermill establishment. Green tea crème brûlée. Seasonal sorbet. Homemade tofu. Kobe beef with wasabi. Raku’s menu is something to behold. This is the place to be if you want a unique culinary experience. Raku is the Japanese restaurant to end all Japanese restaurants and a true gem of Las Vegas. Tucked away inside Jaleo (also by José Andrés), é is a secret upscale restaurant and the brainchild of celebrity chef José Andrés. If you are lucky enough to book a table (it can take three months or more), you will be given a golden ticket that grants you entrance to the quaint 10-person room. The seasonal menu is guaranteed to make your jaw drop and your palette explode. While it requires a significant amount of planning in advance and will cost you an arm and a leg, the experience is singular and unforgettable. Never heard of frozen custard? If not, you’re totally missing out. A delicious alternative to ice cream, Luv-It’s frozen custard is one of the yummiest things you will taste in the world, let alone in Las Vegas. Featuring tongue-in-cheek flavors such as Death by Chocolate, Sin-A-Buns and Health Bar, the cash-only window service establishment has been a Las Vegas staple since it was founded in 1973. Be sure to check it out for a post-dinner treat.